We had a great weekend in Cold Lake. 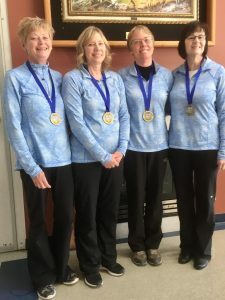 We were fortunate enough to win which means we will be going to Kamloops in the summer of 2020. We want to thank Zone 1 for sponsoring the bus and for the drivers. They were amazing and very funny. The Cold Lake Committee did a fantastic job from transportation, to meals and the banquet was spectacular. They fed over 900 people and our meals were hot. The entertainment, an ABBA tribute band had everyone up dancing. 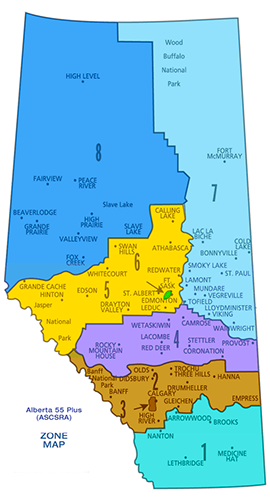 Please pass this on to both your committee as well as the provincial. Again thanks. 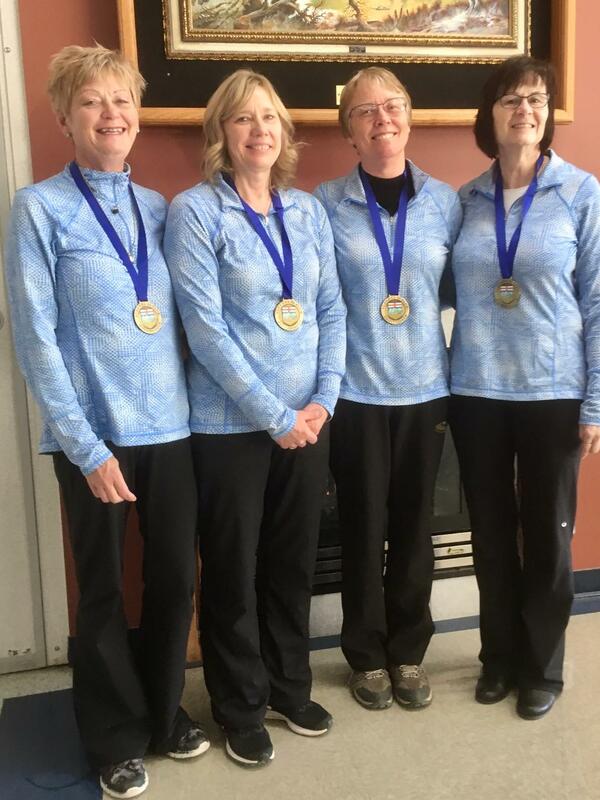 Zone One Women’s 55 + Gold Medal Curling Team – from left to right: Val Leahy – Lead (Taber), June Smith – Second (Brooks), Carol Jones – Third (Vauxhall) and Karen Morrisson – Skip (Brooks).